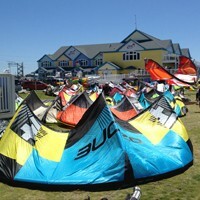 The Ozone Speed System is the interface between the fly lines and the bridle of the kite. 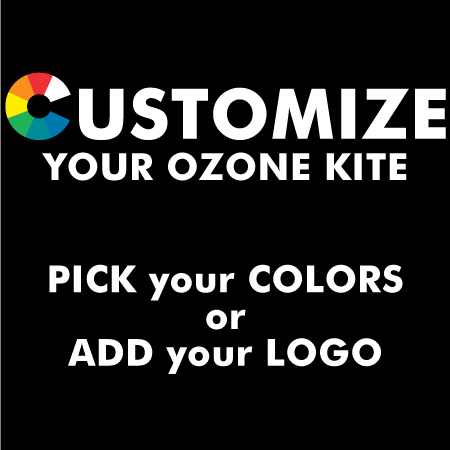 This speed system works on all Ozone depowerable foil kites since 2009 including the Access, Frenzy, Manta, Summit, Blizzard, Subzero, Chrono, R1 V1, and Hyperlink. Durable line materials reduce wear and tear on the pulley lines, with increased resistance to stretch or shrinkage for a longer life span. The Speed System is a double-pulley layout using high-spec, low-friction Ronstan Orbit Block pulleys. The Ozone Speed System V4. This Speed System comes stock on the Chrono V3, Hyperlink V1, Blizzard/Sub Zero V1. Full System - Four Ronstan Orbit Block pulleys and the ten lines that make up the full speed system.